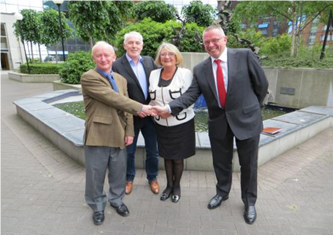 ITOA member Abbey Tours is pleased to announce their recent acquisition of the Dublin based company ITOA member Moloney & Kelly Travel. Founded in 1970, Moloney & Kelly Travel is one of Ireland’s longest established destination management companies, specialising in Incentive and Leisure Travel. The business will continue to operate from the current address and the Moloney & Kelly management team will remain with the company. Commenting on the acquisition, Abbey Tours Chairman, Brian Mc Colgan stated ’we are delighted to acquire the business of Moloney & Kelly Travel, such a highly regarded company within our industry. This company has traded successfully for over 40 years and established an excellent reputation for the quality of their service. A key part of Abbey Tours growth strategy is to further develop our US and Canadian markets, the acquisition of Moloney & Kelly Travel will undoubtedly help us achieve this objective. We look forward to fully utilising the combined strengths and experience of both companies in increasing our visitor numbers to Ireland’. Moloney & Kelly Travel Chairman John Downey said he was delighted to join forces with Abbey Tours. John added, ‘we are very proud of what we have achieved at Moloney & Kelly Travel and we look forward to this new exciting phase of development. The obvious strengths of Abbey Tours, added to the considerable expertise of our own team will ensure Moloney & Kelly Travel remains a market leader within our sector of the business’. Abbey Tours is Ireland’s largest destination company, handling over 100,000 visitors to Ireland annually. 80 people are employed at their City Gate office in Dublin’s city centre.